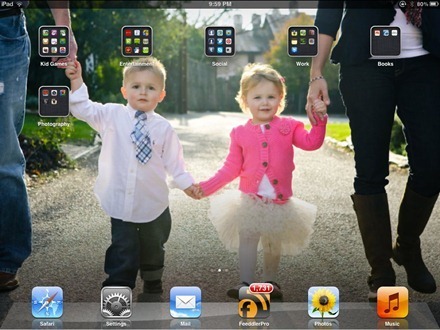 What’s on Your iPad? A simple question but one that leads to some fascinating answers. This is another installment of our occasional series of What’s on Your iPad posts. 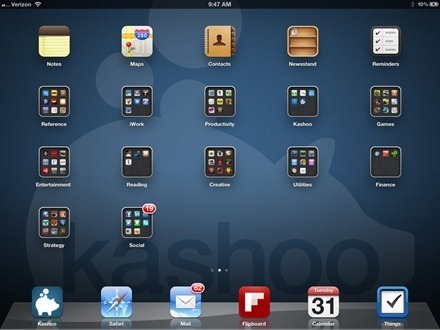 I enjoy the heck out of these because I love seeing how people put their iPads to use – and I find them a great resource for discovering new apps. Founder of http://igamemom.com, Beth has a strong passion in bringing new and fun learning experiences to children of all families. In addition to sharing mobile learning resources on igamemom.com, she is also actively volunteering at local schools. Which iPad model do you use? (original or iPad 2, WiFi or WiFi + 3G, storage size) Any particular reasons for choosing this model? We have an Original (WiFi only) and an iPAD mini. The original iPAD is now my son’s. I like it without WiFi, so I don’t have to worry about data usage on this one. Do you use any sort of case with the iPad? If so, which one/s and why? Original Apple iPAD cases for the Original iPAD, Poetic Slimline Portfolio Case. We did not think much, just bought what was available at the time. 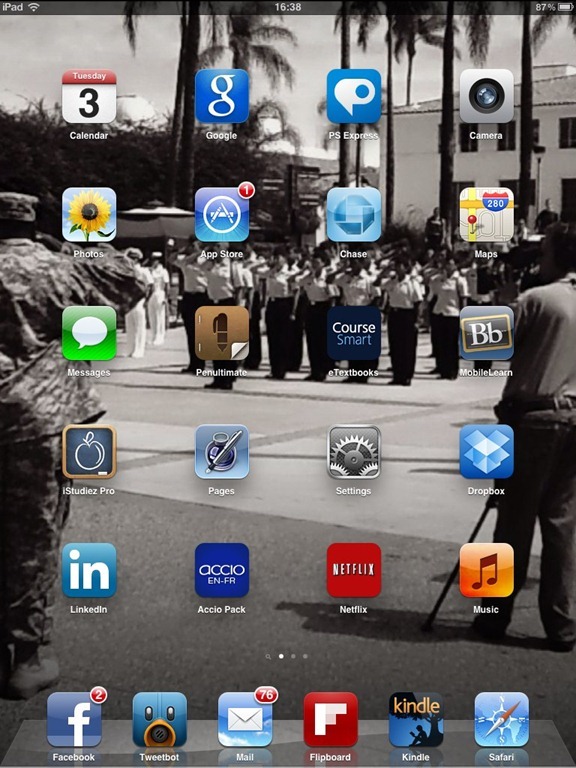 What’s on Your iPad? A simple question but one that leads to some fascinating answers. This is another installment of our occasional series of What’s on Your iPad posts. I enjoy these a lot because I love seeing how people put their iPads to use – and I find them a great resource for discovering new apps. Roxanne is a television host on The Liquidation Channel and Jazzercise franchisee. A self-proclaimed “Girl-on-the-Go,” who is all things Austin, Texas. The 2 was a huge upgrade from the original, so I switched immediately, stood in line and everything. 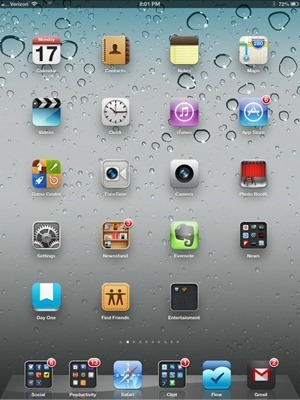 Since then I am waiting for my iPad2 to get too slow or a newer version that I just have to have. Michael Kors Snakeskin Case – Zips and has a stand. It’s stylish and functional. I also have the Red Apple case, the magnetic cover. I only use that once in a blue moon. 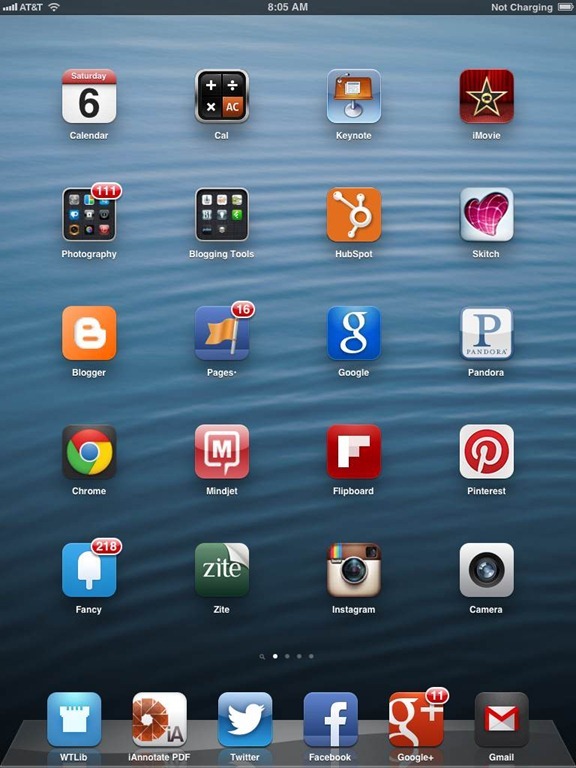 What’s on Your iPad? A simple question but one that leads to some fascinating answers. This is another installment of our now-regular series of What’s on Your iPad posts. I enjoy these a lot because I love seeing how people put their iPads to use – and I find them a great resource for discovering new apps. I am a father of two and a high school assistant principal in West Michigan. I’ve been in Education for 9 years, and have been intrigued and passionate about the integration of technology in the classroom since I began my career as a Social Studies teacher. Our district is in the process of exploring options for an eventual 1:1 program as funds are made available, and I have been highly involved in that process as well as providing training for teachers & district administrators on several tech-related topics. I’ve recently began reading the iPadinsight blog and it’s been great. Keep up the good work! I have the 3rd gen. WiFi model, 16GB. I’ve also got the original iPad, which is now mostly relegated to use by my two children. I keep most of my music on my iPhone, and don’t need the additional storage of a 32 or 64GB model. With most of the documents I use stored in cloud-based services, it’s even more of a reason to just go with a smaller GB model. 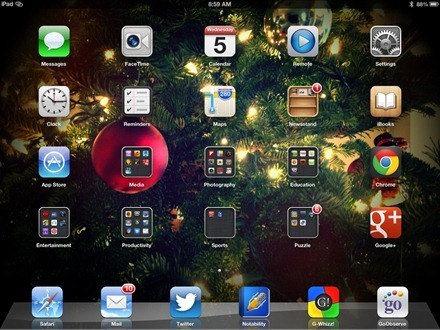 I recently upgraded to the Verizon iPhone 5, and have been enjoying the WiFi hotspot feature with my iPad. I’ve been using a pretty basic, black leather case from Snugg. I recently got the Brydge Keyboard, which doesn’t really work well with any kind of additional case/protection, but looks fantastic. I debated putting a matte finish screen protector on (I’ve got one on my first gen. iPad), but didn’t want to take away from the retina display. I still might put a glossy finish screen protector on, as I’m nearly obsessive about using a cleaning cloth to remove oily fingerprints on the screen. Andrew Green is Creative Director, Co-founder, and self-proclaimed “Head Mac Geek” at Twelve South, a company that makes products for Mac only. 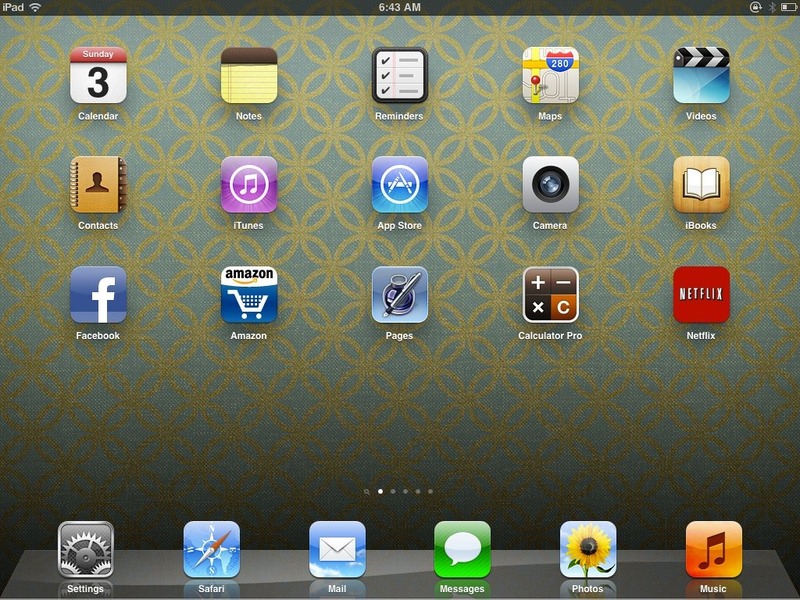 My new favorite is the iPad Mini — seems to be just the right size! I’m currently using it in a really cool BookBook for iPad Mini that’s coming soon. My case of choice is BookBook. We make them first and foremost because we want them ourselves. I have played with the Apple Smart Cover to see for myself what the value equation is for someone looking at our BookBook vs. an Apple Smart Cover. I like how ours comes out. Tim is the author of upcoming book Hype Is Dead, is a digital entrepreneur, and serves as an adviser for numerous large brands in Sports, Fashion and Entertainment. Tim lives in Wilmington, NC, and is the co-founder and CEO at CrushIQ. He provides strategic counsel, marketing guidance, and digital relationship best practices to several of CrushIQ’s top global accounts as well as maintaining strong partner relationships with teams at Google and Facebook. Previously, Tim was with The New York Times Company in a digital business solutions leadership role, and prior to that was the founder of numerous successful technology startups. Tim is often on the road traveling to race tracks, sporting arena’s, speaking at conferences and workshops – all with his iPad in tow. 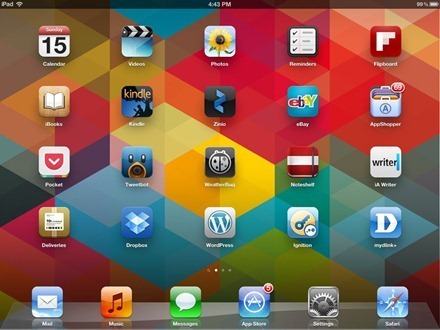 Which iPad model do you use? (original or iPad 2, Wi-Fi or Wi-Fi___33 + 3G, storage size) Any particular reasons for choosing this model? I was an early adopter of the iPad, so I’ve had the original and currently use the iPad 2 3G 32Gb. 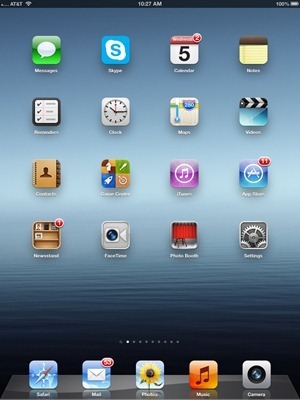 The new retina display is nice on the new iPad, but not enough to make me change. I have my setup just the way I like it. I have numerous, each for its own purpose. For daily use, I just use my Apple smart cover. When I’m traveling, I use my iLuv Professional case with the Bluetooth detachable keyboard. It by far is the best case for powers users who are on the road with a 3G tablet. I have all three models (the first two models being WiFi and having since been passed down to the kids). My current iPad is the latest version (iPad 3) though I skipped over a WiFi only version and went with a Verizon 64 GB LTE model. Verizon allows you to use your iPad to tether other devices (I’m using it to tether my MacBook Pro) with NO additional fee. (Note: I do NOT believe AT&T offers iPad tethering for free). The concept of “I’ll just connect to WiFi’ so I don’t need a data connected iPad is great except I use my iPad for note taking and connecting to Basecamp during visits to customers. It has been my experience that most companies don’t want to leave their WiFi access open and tracking down the IT folks to obtain a WiFi password is problematic. Now I can simply power up my LTE and I’m ready to go. I’m often tethering my MacBook Pro at the same time. 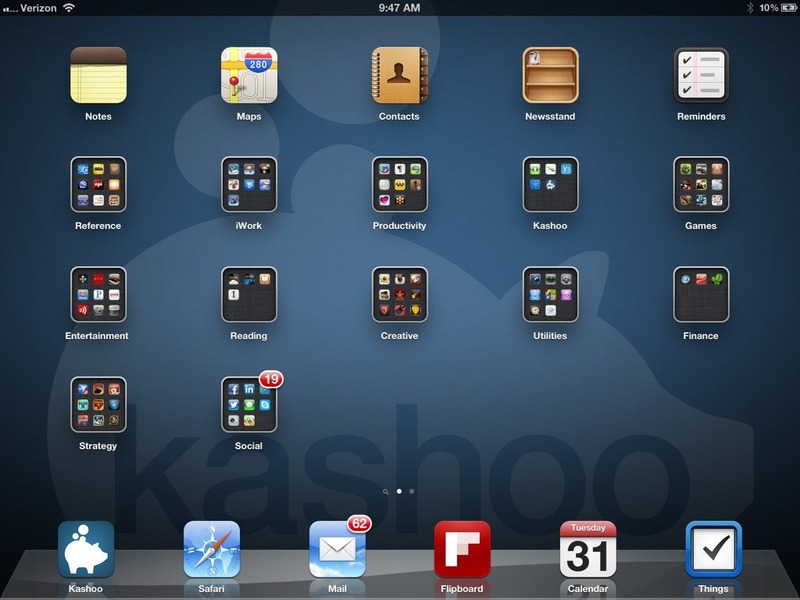 Jim Secord is the CEO of Kashoo: simple cloud accounting software for entrepreneurs, freelancers, small businesses and accountants. Check out their iPad app to see how they’re helping business owners tackle their books anytime, anywhere. 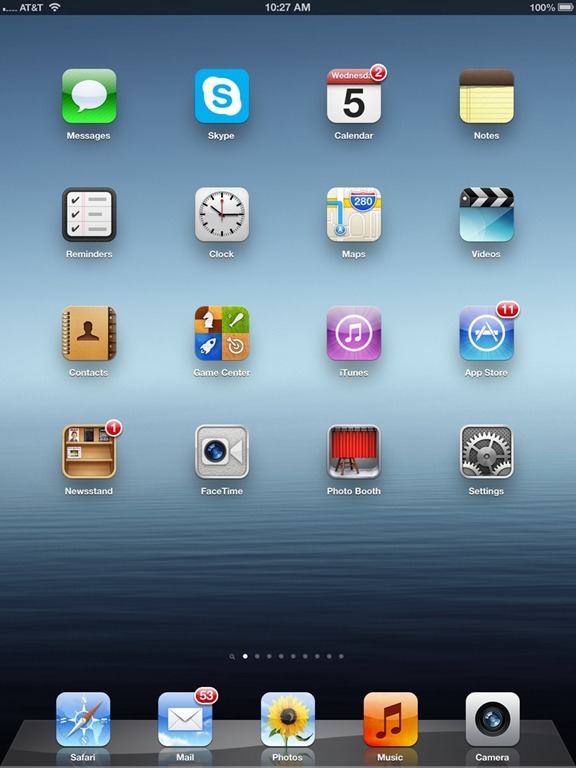 I have a 32GB, new iPad (3rd gen), with Verizon LTE. That replaced my 64GB original iPad with WiFi only. The 4G LTE connectivity has amazing speed and is a great replacement for inconistent (and sometimes expensive hotel WiFi). I found with iCloud, I didn’t need all of my music or documents with me all of the time so I opted for the 32GB model. I use the Apple magnetic cover, but nothing beats the original Sena leather case I had for my original iPad. Loved being able to carry business cards at a conference. Marianne Schultz is an Editor at AppShopper.com and MacRumors.com and also co-hosts the everythingiCafe.com iPhone and iPad podcast. 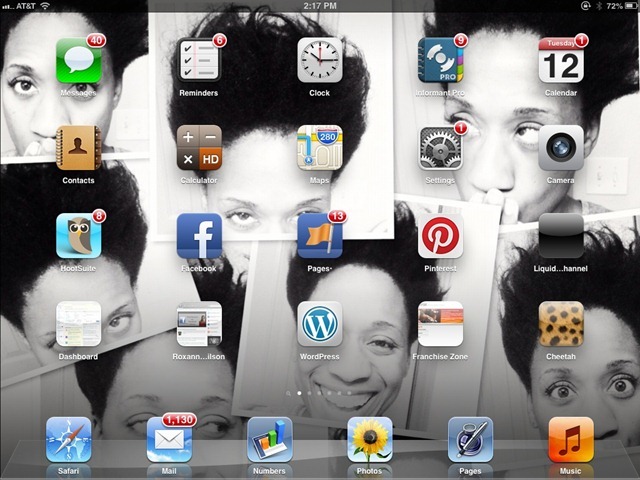 She lives and breathes Apple products and has owned every iPhone and iPad released to date. I currently have a 16GB WiFi third-generation iPad, which I tether to my iPhone 4S if I happen to be at a location where there’s no Wi-Fi. When I placed my order for the new iPad on the day it was announced, I reasoned that I rarely travel and really just used my iPad around the house to read ebooks, which was the case with the first- and second-generation iPads I owned. However, in retrospect, I wish I’d gone for more storage since I’ve had to limit the apps and videos I put on this iPad. Next time I’m going for a 64GB iPad again. I have two cases that I switch between: a Vaja Libretto case and the Morris Lessmore Dodocase. I use the Vaja mostly around the house since it has the best stand options for the way I use my iPad the most. When I travel, I use the Dodocase since it offers more protection and camouflages my iPad a bit, making it look like a book from afar. Beth Elderkin, 26, has been writing game reviews for iPad Insight since Nov. 2011. She is an Education Reporter with The Kerrville Daily Times in Kerrville, Texas, and was previously Managing Editor of San Diego State University’s student newspaper, The Daily Aztec. Beth has been blogging since she was 14 years old and currently owns and operates two blogs: Digital T-Rex, a tech and social media blog, and Jainomo, a lifestyle blog. She graduated from SDSU in May 2012 with a BA in journalism and a French minor, and was named Outstanding Graduate in journalism by SDSU’s School of Journalism and Media Studies. 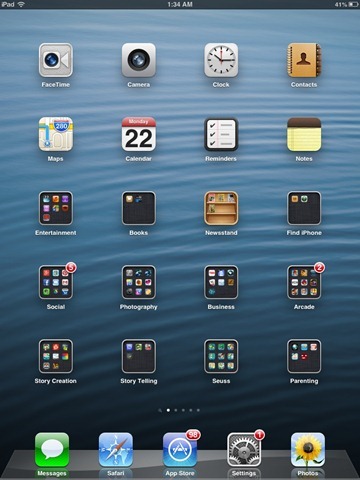 I have the 16G WiFi-only iPad 2, which is basically the most bare-bones iPad 2 you can get. The reason I decided not to get a larger one is because I wasn’t needing my iPad for storage, since I have a 64G iPhone 4S and a MacBook Pro. I use InCase’s Mag Snap Case in white ($39.95), which works with my (now discontinued) orange Smart Cover. I love the Mag Snap Case because it’s strong and durable — which is perfect because I tend to drop things sometimes. In addition, the two “magnet bars” on the back provide extra viewing positions, including one that’s great for typing. Lee Sandstead is an art historian living in southern Virginia. With the release of his first iBook, #1 iTunes international best- seller Cleaning Mona Lisa, Lee has firmly embraced the Apple Universe. He discovered art in his early 20s, and ever since, he has been on one amazing art adventure after another. He is host of Travel Channel’s Art Attack with Lee Sandstead, which secured a Daytime Emmy nomination in 2009. As you read this, Lee is walking 1,100 miles in 67 days along the medieval pilgrimage trail Camino de Santiago to document ecclesiastical art and architecture. He has taken his iPad. I have been using the iPhone since its second generation. When Apple introduced the iPad, I was not an early adopter, because I already had a very nice laptop, great computer, two iPhones, tons of camera equipment, etc. So I wasn’t looking for yet another piece of technology. When Apple released their latest iPad, I seriously considered it for the retina display, but I was disappointed with the battery recharge time. I am leaving June 12 for two months to walk 1,100 miles of the Camino de Santiago through Europe, while working on my next iBook and teaching an online class. But I’ll be sleeping in churches, monasteries, small hostels and “albergues.” Public places where power is not readily available. Basically, for logistical reasons, I need something that charges must faster than the new iPad, so I purchased a refurbished iPad 2 from Apple for $349. Jennielle Strother is a wife, mother to 2 year old twins, athlete, latina, ex-college volleybal coach and is an enrollment manager at Seminary of the Southwest in Austin, TX. She has worked in higher education for 12 years. At Seminary of the Southwest, she is responsible for overseeing recruitment, marketing, social media, admissions and financial aid. Jennielle is the co-founder of #EMchat (Enrollment Management chat), a weekly twitter chat, and the #EMchat blog, where higher education enrollment professionals have the platform to connect and share ideas about the enrollment management industry. iPad 2, WiFi 16 GB – We chose the WiFi because we pay for a “hotspot” on our Verizon phones, therefore we didn’t need the 3G option. The case I use is the Belkin Shield (clear), which works with the Smart Cover. The Belkin protects the back very well, AND because it is clear, you can place a decorative paper/fabric between the iPad and the cover for a customized look.